There’s popular assumption that once you get married, romance and butterflies fall by the wayside. That stereotype isn’t always the case, but too often “to have and to hold” does become an obligation after a few decades. If you’re part of a couple that is going through a marital slump after many years, here are tips to help you get out of the rut. *Talking to each other — never yelling. *Reminiscing about what it was like when you started dating and look through photo albums together. *Respecting each other and identifying each person’s needs. Just because you’re married doesn’t mean that you should stop dating your spouse. Chances are when you started dating, you made time for each other. Your relationship was a priority for both of you. You can bring that young-and-in-love mentality back into your marriage as you age by remembering how important it is to build each other up. Compliment each other. Make time for a regular date night. You can even plan a dinner and movie without ever having to leave your home, thanks to streaming movies from Netflix or RedBox Instant by Verizon. If your relationship is in need of a more intense tune up, plan a weekend getaway and unplug from the rest of the world for a while. The extra time together will surely help guide you back to one another. Absence makes the heart grow fonder – a cliché only because it’s true. Couples that make time for activities apart from one other will experience a renewed sense of belonging when they reunite again. So plan separate vacations with your respective friends every now and then. Plan social interaction with people who are important in each of your lives and then celebrate your relationship when you return home by doing something you enjoy together. Also, adding exercise to your daily routine may improve your mood and you’ll have more energy overall. The health benefits of exercising will undoubtedly expand into your relationship. When you’re healthy, you’ll feel younger, you’ll be better equipped to handle everyday stresses, and your relationship will see an improvement too. Another great way for couples to keep their marriages fresh and feeling young is to share interests and pursue hobbies together. Whether the hobby is woodworking, stamp collecting, travelling, crossword puzzling, bike riding, or reading, do it together. Appreciating and celebrating each other’s interests is a great way to be involved in one aother’s lives beyond the everyday functions of your routines. Why not play hooky and take a day to yourselves to unwind together. Sleep in, go out for a nice lunch, go shopping — whatever suits your style. Scheduling one of these “just for fun” days here and there will be a surefire way to recharge your relationship. As you age together, it’s easy to fall into a ho-hum routine and become lethargic. 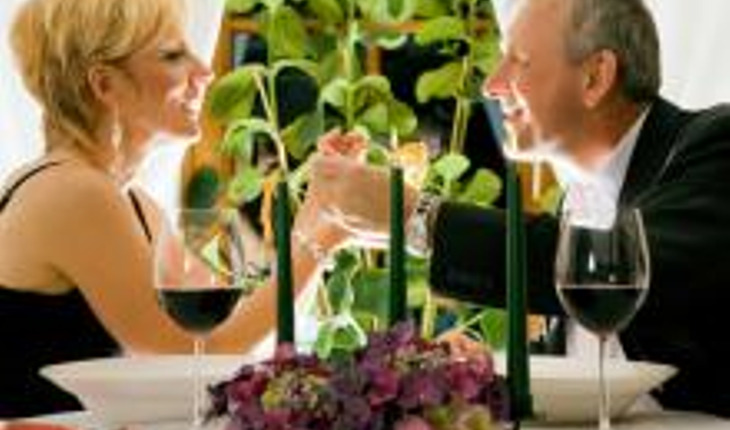 Incorporating these five tips into your lives is a wonderful way to jumpstart your marriage and keep it feeling young..
DJ Miller is a graduate student at the University of Tampa who writes frequently for Fantasy Help, Security Choice, and Steezio, among others. You can follow him on twitter @MillerHeWrote. 12 Best Clean and Natural Sunscreens!